Wife was trolling the interwebs for news stories last week. She found an endearing story of an Emperor Penguin, named Happy Feet, who was found on the coast of New Zealand back in June. Happy Feet had eaten 6.5lbs of sand and had to have his little penguin stomach pumped. Happy Feet was then nursed back to health and released into the wild a week ago. Intrigued, I began reading all the articles on this penguin. Here’s what I gathered. 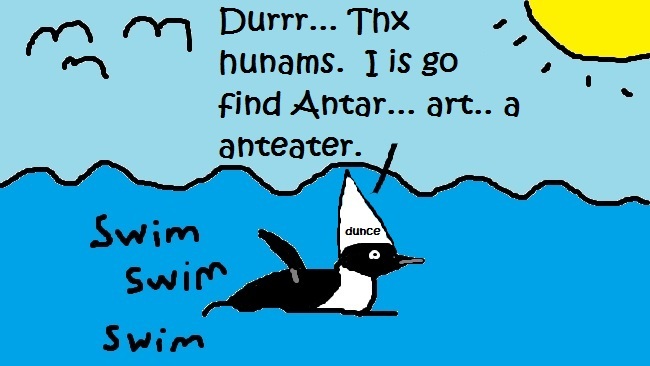 First off and for reasons unknown, Happy Feet had swam 3,200 kilometers away from Antarctica and 99.9% of the world’s Emperor Penguin population. Now, Emperor Penguins do migrate but they walk 50-120 km inland to mate. 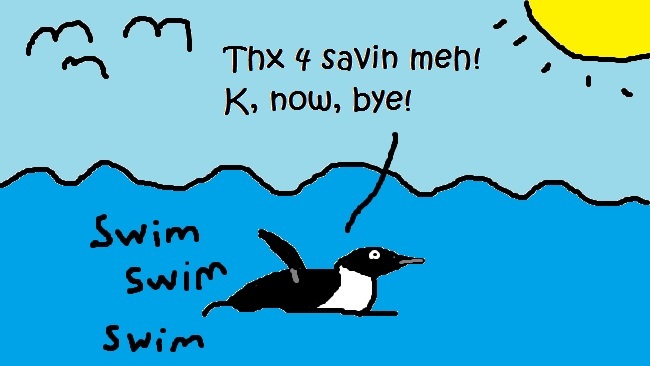 Happy Feet decided to swim, not walk in the opposite direction for roughly thirty times the distance. Happy Feet then found himself on Peka Peka Beach in New Zealand. Happy Feet then became the 2nd Emperor Penguin in recorded human history to naturally go anywhere other than Antarctica. Happy Feet then did what all Emperor Penguins do when they’re thirsty; eat snow. Well, it just so happened that it was summer on Peka Peka Beach and there was not a single ounce of snow for miles in any direction. 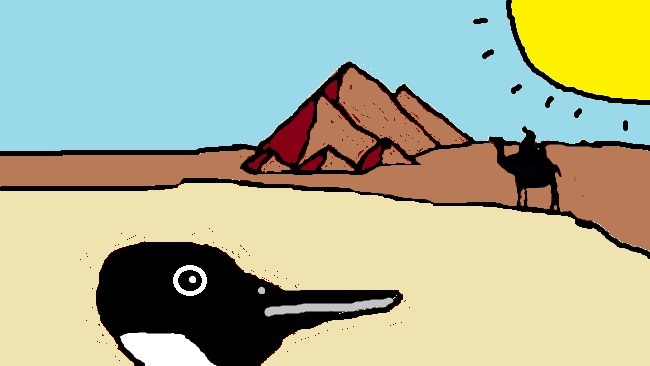 This minor detail did not stop Happy Feet, who began gorging himself on sand. 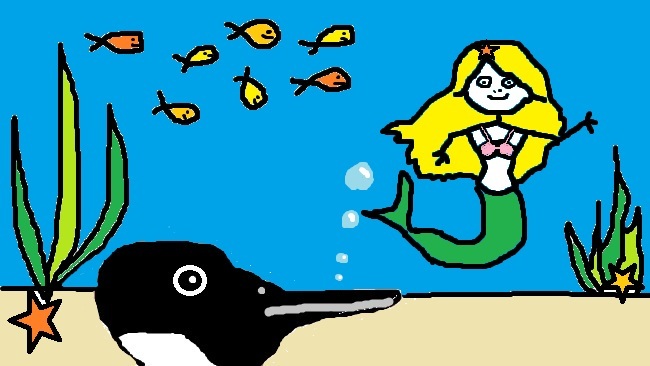 Here is an artist’s depiction of what was going on in his little penguin mind. Happy Feet was discovered by beach-goers, filthy and vomiting sand. At this point, Peka Peka Beach didn’t have an Emperor Penguin Trauma equipped emergency room, so they shipped Happy Feet to Wellington Zoo where he was treated and nursed back to health over the course of two months. He was then released into the wild roughly one week ago. 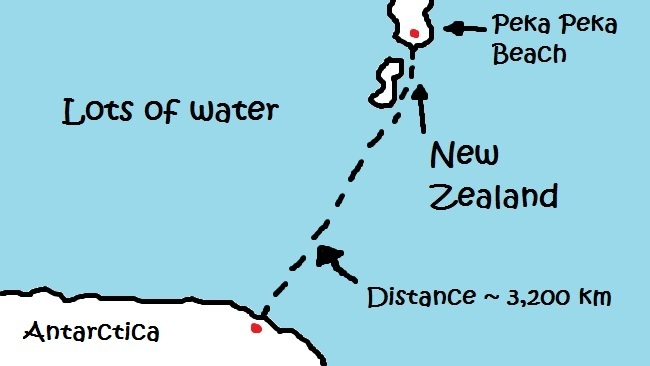 Happy Feet was tagged with a GPS transceiver and, unsurprisingly, he headed straight east from New Zealand, again in the wrong direction. 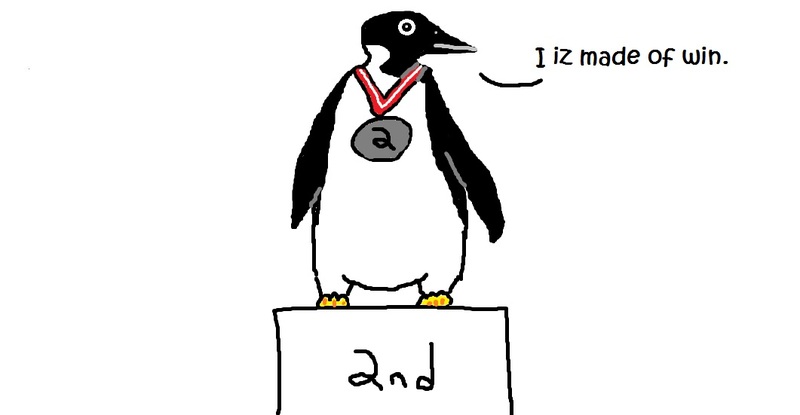 Happy Feet soon corrected his course and began heading south, towards Antarctica. 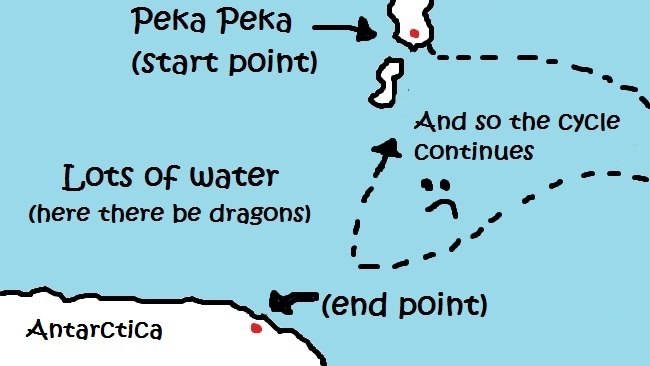 Several days ago he made a U-turn… back to New Zealand. Clearly this is an animal that will not make the species stronger. I don’t know if we did the right thing by saving it. 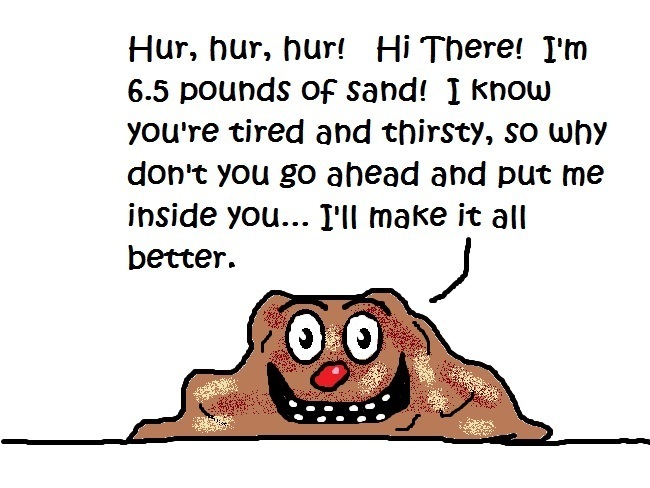 If it does ever make it back home, it’s just going to make dozens of equally inept offspring. 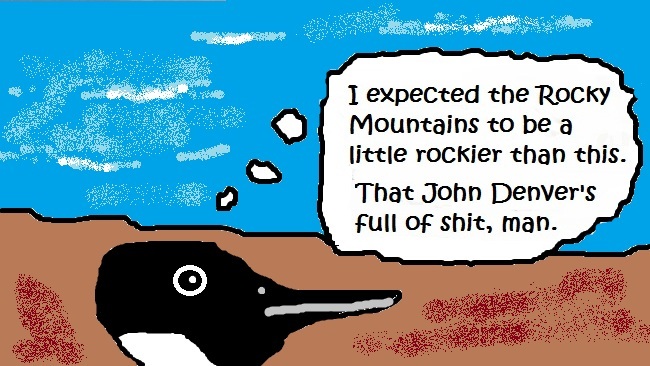 Before you label me as a monster, think of the world-wide impact of a population spike of retarded penguins all over the place. Some New Zealand news sources are claming that Happy Feet has cost roughly $30,000. 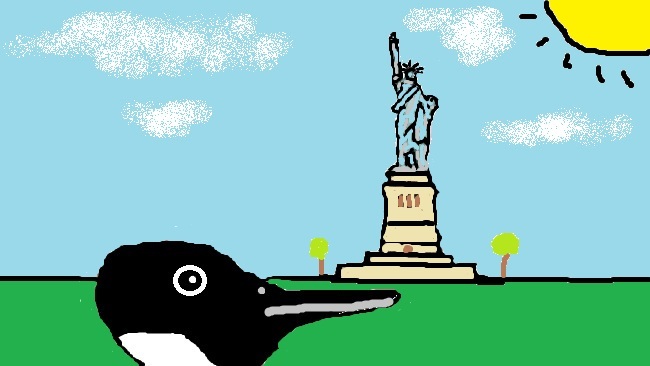 The world’s strained economy can’t deal with a potential penguin crisis like this. This entry was posted in Funny Section and tagged funny, happy feet, natural selection, peka peka beach, penguin by underwhelmer. Bookmark the permalink. 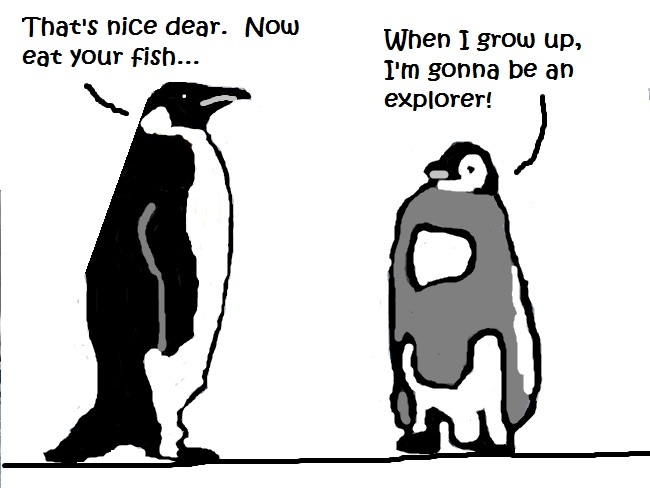 Then again, reintroducing Happy Feet into the gene pool will make the penguins easier for us to conquer. 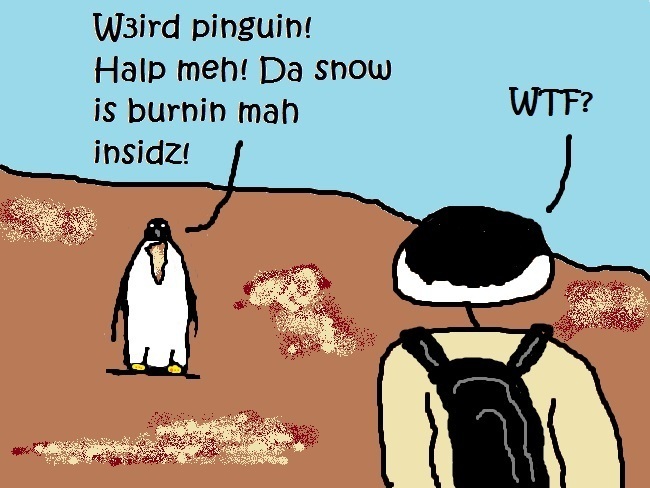 If I found a penguin on a beach, I’d probably try to keep it and accidentally kill it. They’re surprisingly demanding creatures. I guess that’s what you get for developing separately for thousands of years in a geological niche environment.